Warning: Stay Away From These Fake iPad 2 Jailbreak Tools! Warning: Stay away from fake iPad 2 Jailbreak Tools! I know that a lot iPad 2 users are waiting for Jailbreak from the day they have bought it, but still no jailbreak tools have yet been released. As far I know iPhone hacker Comex is still working on it. 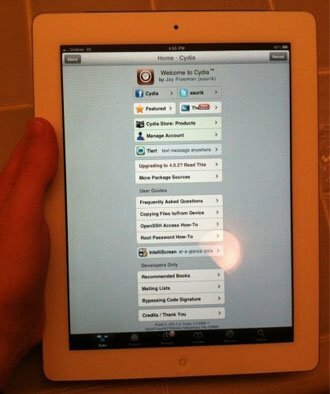 Recently someone call himself “D0nfyxn” created a fake iPad 2 Jailbreak. The fake tool is named A5-2Lib02. He also uploaded a fake video on YouTube showing himself jailbreaking iPad 2, using this tool. This Jailbreak tool A5-2Lib-2 runs on Windows operating system, and it’s intentionally aimed to tell you “Failed to connect the device, please try again” every time you try to run it to jailbreak iPad 2. Unfortunately a lot of folks trap by d0nfyxn and download this piece of crap. D0nfyxn has over 630 followers on Twitter and 187 fans on Facebook, so he built trust and spread this fake iPad 2 jailbreak. I request to our readers please stay away from these type of fake jailbreak tool and avoid downloading via these new faces like d0nfyxn. Previously several bogus jailbreaks have been released on the internet. This type of fake Jailbreak might contain viruses like iKee or others to steal your private information. Presently Comex jailbreak hacker is only one person who has close to releasing any iPad 2 jailbreak. But still no word from him about he going to release his tool. Whenever a genuine iPad 2 jailbreak will be released, rest assured that we will cover it here right away.